Our engine room is coming together nicely. Our engine room has been beautifully fared and painted. 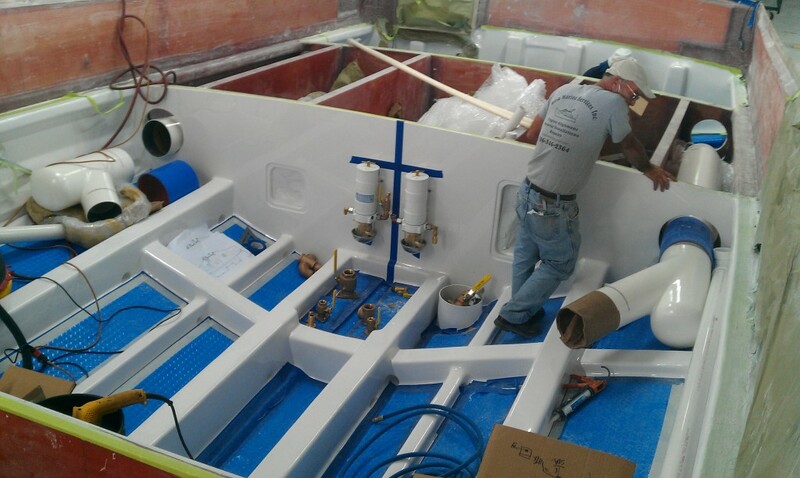 Most of the fresh water plumbing is installed and now many major components are being installed such as the exhaust system & Racor’s. Early next week we will be installing our main engines. This rig has twin Cummins QSM-11′s and Zeus Pods that will push her along in excess of 40 Kts.